I am trying to figure out why family physicians choose to contract with health plans. My pondering of this question is prompted, in part, by an article, "What Does It Cost Physician Practices to Interact with Health Insurance Plans,"(content.healthaffairs.org) which appeared as a web exclusive on May 14, 2009, in Health Affairs(content.healthaffairs.org). 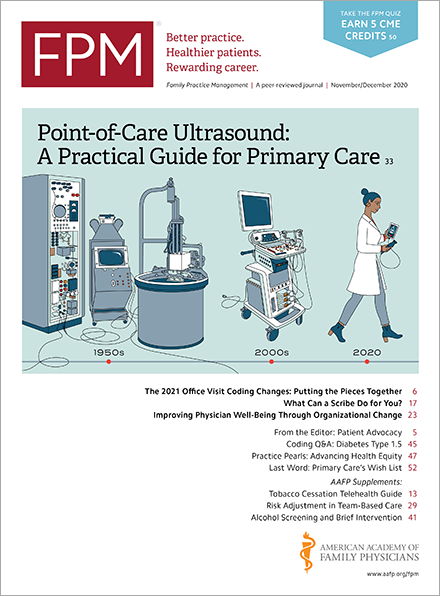 According to the article, primary care practices spent $64,859 annually per physician – nearly one-third of the income plus benefits of the average primary care physician – on interactions with health plans. The article also notes that primary care physicians, especially those in small practices, spend larger amounts of time interacting with health plans than physicians in other specialties. Why would a family physician voluntarily spend almost $65,000 per year for the opportunity to interact with commercial health plans? What do family physicians think they are getting for their money? The article suggests that there are benefits to these interactions. For example, the authors point out, prior authorization and formulary requirements may reduce costs and improve the quality of care by reducing the inappropriate provision of services and promoting the use of appropriate procedures and medications. That may be, but somehow, I doubt that's why family physicians buy into the process. After all, $65,000 per year would go a long way toward the purchase of an EHR with decision support tools and electronic prescribing, which might also achieve the same results with less aggravation in the long run. Some might suggest that family physicians don't "choose" to contract with health plans, that they have to do so for their practices to be viable. In this view, health plans are like some sort of health insurance Mafia that make family physicians "an offer they can't refuse" to ensure their practices stay open. Given the relative bargaining strength of family physicians and most health plans, this view is understandable. The corollary to this answer is that if a family physician chooses not to contract with health plans, he or she won't have any patients, or at least not enough to sustain the practice. The premise here seems to be that patients do not value the services of family physicians beyond the co-payment most of them currently must pay for an office visit. However, there are some problems with this answer and its corollary. One problem is that there are examples of family physicians who have successful cash-only practices, and I'm not talking about the kind of practices that only cater to the lifestyles of the rich and famous. Family Practice Management has highlighted some over the years; for example, see "2,500 Cash-Paying Patients and Growing" in the February 2006 issue. Another problem is that it's not clear where else all of these patients would go if family physicians opted out of contracting with health plans. According to a one-pager(www.graham-center.org) produced by the Robert Graham Center(www.graham-center.org), family physicians and general practitioners provided 24 percent of the average 838 million visits per year provided by all physicians in 2003. If my math is correct, the rest of the system would have to increase its capacity by one-third to cover all of those visits, if patients decided not to see family physicians because they didn't accept insurance. I find it hard to believe that is possible. I understand that the counterpoint here is that contracting decisions are made at the individual practice level, not the level of the specialty as a whole. In other words, family physicians contract with health plans because they are afraid that if they don't, their patients will go to their colleagues who still do. I understand that counterpoint to mean that family physicians choose to contract with health plans because their colleagues do, from which one might conclude that if their colleagues jumped off a cliff, most family physicians would do the same. A third problem with the "I-can't-afford-not-to" argument is that it runs contrary to what family medicine is saying and has evidence to support regarding the value of family physicians(www.graham-center.org). Much of what is being discussed in the context of health care reform shows buy-in for the notion that there is value in primary care, and proposals on Capitol Hill would spend billions on primary care, including family medicine. Yet, interestingly, many family physicians seem convinced that patients won't pay more than $25 for their services. The only remaining answer I can discern to the question of why family physicians contract with health plans is that they are making money on the deal. In short, it must be worth more than $65,000 per year to contract with health plans. I would find this answer more convincing if family medicine did not consistently rank near the bottom of earning lists by specialty. I would also find it more convincing if the percentage of U.S. medical student graduates choosing family medicine was higher or trending upward. In the end, the more that I ponder the question of why family physicians contract with health plans, the less that I think I know the answer. Home / Journals / FPM Home / Getting Paid Blog / Why?